Did you know there are over 400 different species of sharks? Did you know they have been on Earth much longer than humans, and even lived before the dinosaurs? Here you'll learn all about these fearsome kings of the ocean, including their eating habits and the basics of their anatomy. Sharks come in many sizes, from under a foot long to over 40 feet-and that's not even counting the long-extinct, 60-foot-long Megalodon shark. And while some have been known to bite people, they are usually quite content to hunt other sea creatures. There are many things we still don't know about sharks, but this is an excellent jumping-off point to discover more! 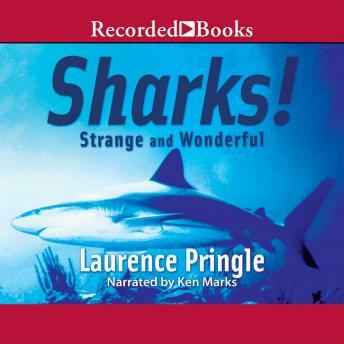 Winner of the Washington Post/Children's Book Guild Nonfiction Award, author Laurence Pringle presents this masterful introduction to one of nature's most misunderstood, yet exciting, animals.